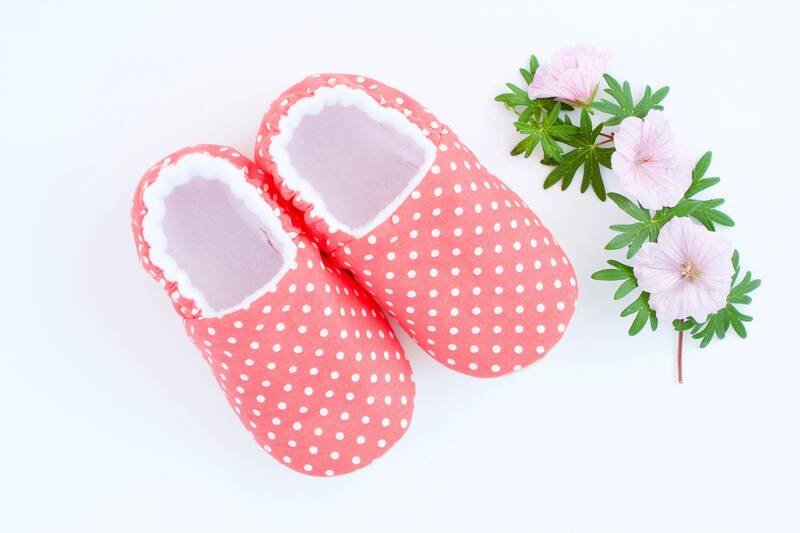 baby shoe, girls shoes, baby shoe girls, coral shoes, spotty. 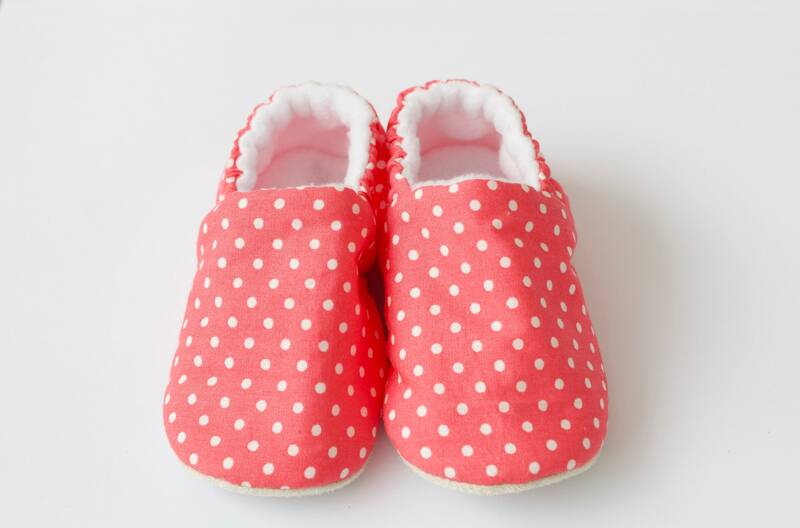 baby shoe, girls shoes, baby shoe girls, coral shoes, spotty. Last pair Sale item. sale shoes. 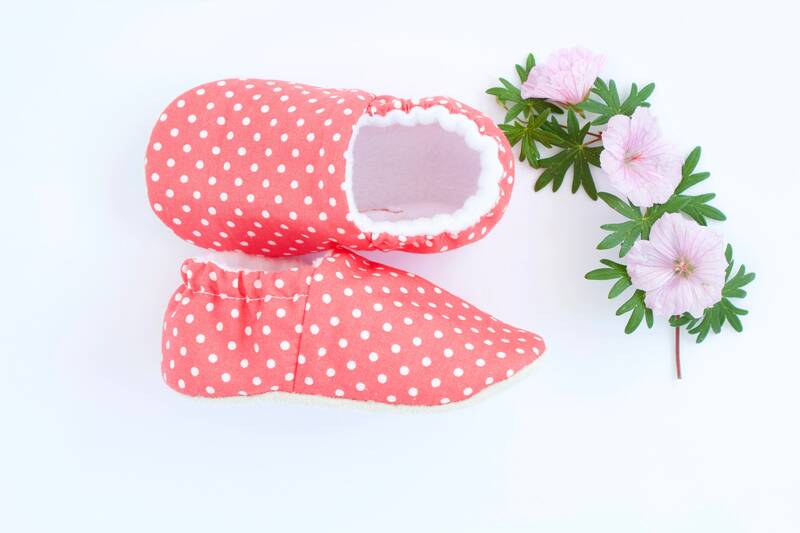 These shoes are fully lined with white fleece, all seams are concealed within the shoe making it more comfortable for baby to wear, the soles are a soft durable faux suede.